Veterinary Diagnostics: antibodies and antigens for immunoassay development for several animal diseases from Advanced ImmunoChemical. 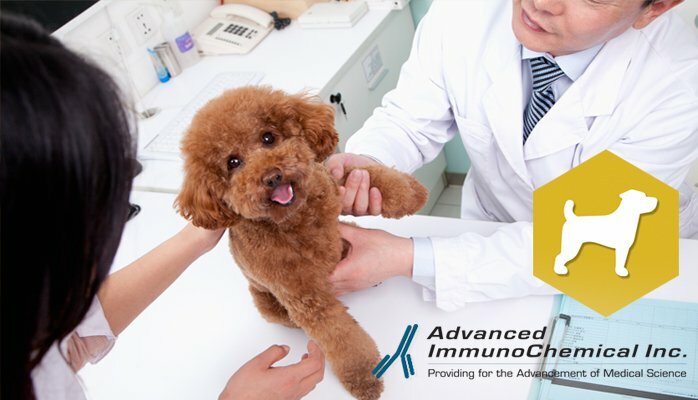 - Advanced ImmunoChemical Inc.Advanced ImmunoChemical Inc.
Home » Assay Notes » Veterinary Diagnostics: antibodies and antigens for immunoassay development for several animal diseases from Advanced ImmunoChemical. We offer monoclonal antibodies and recombinant antigens for diagnostic immunoassays for several animal diseases, including cardiovascular disease, inflammation, infectious and renal diseases.